This year we were able to offer residencies to 43 artists representing 10 states, as well as Austria, Norway, Germany, Switzerland, Sweden and Canada. Residents this year included Mara Alper (NY); Kristen Anchor (MD); Nurit Bar-Shai (NY); Jack Beck and Matt Costanza (NY); Eyal Nen-Zwi (Austria); Kjell Bjorgeengen (Norway); Peer Bode (NY); Torsten Burns (MA); Zarah Cabanas (NY); Andrew Demirjian (NJ); Emile Devereaux (NY); Rebecca Dolan (MO); Unn Fahlstrom (Germany); Brendan Ford (MA); Axel Forrester (SC); Madeleine Gallagher (NY); Alex Hahn (NY / Switzerland); Sarah Halpern (NY); Sachiko Hayashi (Sweden); Carolyn Kane (NY); Brett Kashmere and Astria Suparak (PA / OH); Peter Kerlin and Anna Sperber (NY); Zohar Kfir (NY); Kim Kielhofner (Canada); Zach Layton (NY); Justin Lincoln (VA); Kristin Lucas (CA); Darrin Martin (CA); Bianca Miller (NY); Monica Panzarino (NY); John Phillips (PA); Magaly Ponce (MA); Adi Shniderman and Merav Ezer (NY); Jeremy Slater (NY); Matt Underwood and Jenny Hyde (MA); Tor van Eijk (Norway); Sheri Wills (NY); Dan Winckler (NY). Tapes produced at the Center were again included in exhibitions throughout the United States and Europe and on the Web. Recent exhibition venues have included Lincoln Center, the Museum of Modern Art, Chelsea Art Museum, CEPA Gallery, Hallwalls, Monkeytown, Eyebeam and Issue Project Room. 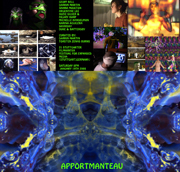 They have been selected for inclusion in exhibitions and festivals including Beyond/In Western New York, New York Experimental Video Festival, Ars Electronica, Dallas Video Festival and the 21st Stuttgart Film Festival. Tapes are distributed by Electronic Arts Intermix, Filmmakers Coop, Drift Distribution, Facets, Microcinema International, Women Make Movies and many others. Artists working at the Center this year have received awards and recognition from State Arts Councils and numerous private foundations and have received awards and citations in festivals around the world. Focused on our commitment to EDUCATION, we also participate in online salons hosted by media arts, information and advocacy groups. Through the Media Arts Technical Assistance Program we work with organizations from all regions of New York State to develop the media arts field. The Center also serves on a working committee along with representatives of the Electronic Media and Film Program of the New York State Council on the Arts, American Documentary/POV and Rhizome on the New York State Media Arts Map, a comprehensive portal website for media arts in the State, www.nymediaartsmap.org. Technical Assistance also provided support for the documentation of the Media History and Preservation Symposium, a day-long seminar organized by IMAP for the AMIA Conference. Also through Technical Assistance ETC assisted organizations to attend several conferences and festivals including the AMIA Annual Conference, the Image Permanance Institute, Common Ground, 54th Flaherty Film Seminar and 18th NAMAC Conference The Frontier is Here, among others. The Center serves as a SPONSORING ORGANIZATION for artists' projects in the electronic and film arts, providing support services, assistance with development and fiscal and administrative management services. We sponsor about 20 projects each year. In 2007-08 we helped artists to raise almost $ 85,000 in support of independent media projects. Completed projects have seen worldwide exhibition and distribution, and have been supported by the the NYS Council on the Arts, the McCarthy Foundation and private contributors. Sponsored artists have included Irit Batsry, winner of the prestigious Bucksbaum Award for Neither There Nor Here, with a world premiere at the International Film Festival, Rotterdam and inclusion in the Whitney Biennial; Alan Berliner for The Sweetest Sound, featured on POV and for Wide AwakeI, screened at the Sundance Film Festival; Abigail Child for By Desire; Slawomir Grunberg for the Emmy-award winning documentary School Prayer: A Community Divided; Barbara Hammer for Resisting Paradise; Ken Jacobs for NY Ghetto Fishmarket, 1903; and Kristin Lucas for Supervision. These projects have been supported by the New York State Council on the Arts, Funding Exchange, NVR and the Distribution Fund, Creative Capital, New York Foundation for the Arts, The Radcliffe Institute for Advanced Study at Harvard University, the Jerome Foundation, and National Geographic. For 2007-08 the following artists have received awards from the New York State Council on the Arts. Vincent Grenier for The Shifting Alibi, inspired by the US presidential leadership's sell-out to the wealthy. Ken Jacobs for The Alps and the Jews, a portrait of Allied strategy in World War II, using the original film and 3-D effects. Amy Jenkins for Water Window, a site-specific installation and projection. Kristine Marx for Switch Back Slip Track, is a site-specific video installation that plays with visual perception and its relationship to architecture. Brian Milbrand for Euler, a portrait of a mathematician and the collision between the ordered systems of mathematics and the often chaotic systems in nature. Alan Sondheim for Alpine-Brooklyn Transpondance, an examination of the interstices of the analog/digital, flesh/grid, avatar-human. ETC also sponsored Pose Down, a feature film by Erika Yeomans, centered around the true-life stories of three former classmates. The work had its US premiere at the Fort Lauderdale International Film Festival and in London at the Portobello Festival. We also supported America is Hard to Find, a documentary by Susan Muska and Greta Olafsdottir, a controversial and insightful look at two giants of the US anti-war movement, Philip and Daniel Berrigan, Catholic priests whose absolute faith and outrageous actions earned them a place on FBI's most wanted list. This work has received support from the McCarthy Foundation. We also supported their new work, Edie and Thea: A Very Long Engagement, a portrait of a devoted lesbian couple in a long-term relationship. Finishing Funds 2008 supported 30 new media, film and sonic art, web projects, performances, site-specific installations and interactive projects. This year's requests totaled over $450,000. Finishing Funds is supported in part with public funds from the New York State Council on the Arts and by mediaThe foundation. For 19 years, the program has provided funds directly to New York State artists to assist with the completion of diverse and innovative projects which challenge the traditional boundaries of the media. This year's awards recognize work which is very diverse, encompassing web projects, animation, generative systems, public art and performances, and include experimental, documentary and narrative cinema and the sonic arts. The works approach a wide variety of topics including issues issues of war and democracy, autism, solar power projects in Congo, the violence in Rwanda, and a critique of documentary practice. The works in progress have received recognition and support from other organizations including the New York State Council on the Art, LMCC, Arts Council of England, the National Endowment for the Arts, Creative Capital, ReNew Media Arts Fellowship and the Lef Foundation. With an award in 2008 from mediaThe foundation, Finishing Funds is supporting 4 projects in new media and intermedia performance; the awards went to Eric Dunlap and Holly Daggers of Forward Motion Theater (Eyewash 3), Matt McBane (Onsdag, 6:45 AM), Jamie O'Neil (Four Mad Humors) and Eric Singer and Taylor Kuffner (GamelaTron). The other recipients are Perry Bard (Man With a Movie Camera: The Global Remake); Janet Biggs (Vanishing Point); Elle Burchill (Mother Daughte); Scott Draves (Sheep Singles); Meredith Drum (The Tower, The Machine and The Double); Jim Finn (The Juche Idea); Slawomir Grunberg (The Story of an Autistic Savant); Michelle Handelman (Dorian); Shaun Irons and Lauren Petty (Here, Everything is Still Floating); Caroline Koebel (Flicker On Off); Eric Levine (Someone Hears a Shot); Elizabeth Mandel and Beth Davenport (Rose and Nangabire); Tara Mateik (Man Behind the Curtain); Cambria Matlow (Burning in the Sun); Carlos Motta (The Good Life); Elmer Ploetz (The Buffalo Punk Project); Kurt Ralske (The Inevitable); Zach Rockhill (This Side Down, Damn if I Know); Lynne Sachs (Invisible); Peter Shapiro for Zuvuya Collective (City of Dreams); Mark Street (Hidden in Plain Sight); Bec Stupak (Innocence); Avi Weider (Welcome to the Machine); John Weiksnar (Heave Ho); James Wilkins (Nature Mature). This year's peer review panel was composed of Zach Layton and Carolyn Tennant. Zach Layton is a composer, curator and new media artist based in NY. His work in experimental music and video investigates complex relationships and topologies created through the interaction of simple core elements like sine waves, minimal surfaces and kinetic visual patterns. Zach has received grants from the Netherlands America Foundation and the Jerome Foundation and is a graduate of the Oberlin Conservatory and the Interactive Telecommunications Program at NYU. Carolyn Tennant received degrees from Hampshire College and the University at Buffalo, where she taught undergraduate courses in the Department of Media Study. In 2007 she curated media arts exhibitions at the Carnegie Arts Center (Phantom Power) and at the University at Buffalo Art Gallery (Haunted Screens, co-curated with Sandra Firmin). She is the Media Arts Program Director at Hallwalls Contemporary Arts Center in Buffalo. In 2007-08 we provided assistance to 47 sponsoring organizations in 17 counties across New York State, assisting with appearances reaching audiences of over 16,000 people and with cable and web audiences are conservatively estimated at an additional 100,000. These organizations contributed almost $ 700,000 toward these media exhibition projects. This year's recipients included Anthology Film Archives, Alfred University Institute for Electronic Arts, Art in General, Art Mission, Auburn Public Theater, Bowery Arts and Science Ltd., Brooklyn Arts Council, Broome County Arts Council, CEPA, Children's Media Project, Chelsea Art Museum, Clifford Gallery, Cornell Cinema, Crandall Public Library, Creation Production Company, Dansology Inc., Dumbo Arts Center, Electronic Arts Intermix, Eyebeam Atelier, Felice Lesser Dance Theater, Film Society of Lincoln Center, Filmmakers Cooperative, Filmmakers Cooperative, Finger Lakes Environmental Film Festival, Forward Motion Theater, George Eastman House, Here Arts Center, iEAR Studios at Rensselaer Polytechnic Institute, Ignivomous, International Black Film Festival, Issue Project Room, Loisaida Arts, Margaret Mead Film Festival, Millennium Film Workshop, MIX, New Dance Alliance, Not Still Art, Outpost - Cuts and Burns Residency, Rattapallax, The Rochester Lesbian and Gay Film and Video Festival, Rotunda Gallery, Roulette, RPI, Saratoga County Arts Council, Schweinfurth Memorial Art Center, SITU, Squeaky Wheel, Summer School for the Arts, Syracuse University, Theater for the New City, White Box and ZEYBRAH. Founded in 1999 The Media Arts Technical Assistance Fund is designed to strengthen media arts organizations in all regions of New York State. The Fund assists media arts organizations, their staff and board members in working with outside consultants on issues of organizational and professional development, as well as on research and planning for new program initiatives. The Fund is designed to advance leadership and management skills critical to a sustainable and vital media arts community. Organizational Development offers support to stabilize, strengthen or restructure capacity and services. Professional Development supports training and continuing education, through workshops as well as staff participation in media arts conferences, convening and festivals. The Fund is supported by the Electronic Media and Film Program at the New York State Council on the Arts, a public agency. In addition to direct support, Technical Assistance helps organizations to attend professional conferences, seminars and festivals. This year organizational representatives attended the 54th Annual Flaherty Film Seminar hosted by Colgate University, the Association of Moving Image Archivists Annual 2007 Conference, NAMAC Conference The Frontier is Here, NAMAC Leadership Institute, IMAP Media History and Preservation Symposium, Common Ground, Distribution Roundtable, Orphan's Film Festival, Impact Training Camp, Grantseeker Training Workshops and the Woodstock Film Festival. This year's total request to Technical Assistance was over $ 140,000. The program provided over $100,000 in support of requests from 50 organizations in 12 counties across the State. Organizations included African Film Festival, American Documentary, American Museum of the Moving Image, Anthology Film Archives, Asian Cinevision, Children's Media Project, Cinema Tropical, Creative Time, Diapason Gallery for Sound, Electronic Arts Intermix, Everson Museum of Art, Eyebeam Atelier, Fales Library and Special Collections at New York University, Finger Lakes Environmental Film Festival at Ithaca College, free103point9, Hallwalls, Harvestworks, Independent Media Arts Preservation, International Black Film Festival, International Film Seminars, Ithaca College, Light in Winter, MadCat International Film Festival, Maysles Institute, MIX, MoMA, Museum of the American Indian, Ocularis, Paper Tiger TV, Reel Works, Rhizome at The New Museum, RPI, Squeaky Wheel, Standby Program, Termite TV, The Sanctuary for Independent Media, Third World Newsreel, UnionDocs, WAMC Northeast Public Radio, Women Make Movies and the Woodstock Film Festival. Research and scholarship is an important aspect of our program. We contributed to Playback: Preserving Analog Video, a DVD produced by BAVC (2003) with major support from the National Endowment for the Arts. The Preservation area of the Video History website contains two commissioned texts. Video Preservation: The Basics (2000, 2002) by Sherry Miller Hocking and Mona Jimenez, and Reel to Real: A Case Study of BAVC's Remastering Facility (2002) written by Luke Hones, and edited by Sherry Miller Hocking and Mona Jimenez. The Preservation resource area also contains a selection of historically important texts concerning early efforts at media preservation. In 2003 we produced a CD - Early Media Instruments - featuring a database of significant imaging devices which played a critical role in the historical development of independent media art. The CD was featured in a three month long exhibition 'Origins' at ArtsInteractive Gallery, curated by Mary Ann Kearns for the Cyberfest in Boston, along with representative tools from the era of the early 1970s. The focus since 2000 has been on the continued enrichment of content on the Video History Web and the development and implementation of collaborative strategies for advancement of electronic moving image preservation resources and tools. The Video History Web functions as a both a dynamic and interactive on-going research collection and dissemination vehicle for media professionals, educators, and media programmers as well as the general public. Resources include critical essays, manuscripts, interviews, biographies, an extensive bibliography and information on collections, distribution, tools, preservation, organizations, and individuals. The fully searchable site structure serves information contained in 12 databases holding over 6000 records. The site last year had hundreds of thousands of visitors. It is a resource used by researchers, historians, artists, archives and video enthusiasts. We routinely respond to queries from researchers, scholars, educators and home enthusiast. The site has been an important tool for a range of activities including original research for writing of books, catalogs and monographs; a method for locating primary source materials; a way for people to locate others they have lost contact with over the years; a source for preservation information. In 2004-07 the Daniel Langlois Foundation for the Arts assisted with the continued development of the Video History Website. The Foundation supported eight organizations, 2 from the US, from 168 applicants. With the assistance of the Langlois Foundation, as well as of the New York State Council on the Arts, we focused on early video/media instruments - those tools designed individually or by artists and technologists working collaboratively, as well as innovative commercial devices. This research links associated texts, documentation, technical data, maker biographies and interviews, and tapes produced on these systems. Content derives from our tool and paper archives. We are also photographing the devices, and scanning associated texts, documentation, and ephemera related to events which include posters, exhibition program notes, exhibition catalogs; and audio and video interviews. The data is being published on the History Project Website. The National Television and Video Preservation Foundation provided in-kind support in 2004-05 to preserve and remaster 10 hours of very early videotapes from the Center's collection; the works were produced in the 1970s and showcase early analog and digital video imaging tools. The project focused on those instruments - tools individually designed by artists and the collaboration of artists and engineers/technologists, modifications to existing technology, and innovative applications of commercial technology and the collaborative relationships between artists and engineers, and the interdisciplinary nature of early media arts practice. The tapes feature important early video devices designed in the early to mid 1970s, including those created by Nam June Paik (wobbulator or scan processor, and the construction of the Paik/Abe Video Synthesizer and its use with the TV Bed, exhibited at the Everson Museum in 1972), David Jones, Bill Hearn, Steve Rutt and Bill Etra, Dr. Don McArthur, the Vasulkas and Dan Sandin. We have informational materials, technical information, ephemera including early posters and programs, and photographs related to the tools. We have digitized and are transcribing about 30 hours of audiotaped interviews with significant artist/technologists including Woody Vasulka, Steve Rutt, Dan Sandin, Ralph Hocking, David Jones, Walter Wright and others who were actively engaged in the first generation of tool creation. We received an Artist in Residence Award from the Institute for Electronic Arts (2005-07) for the creation of series of 8 DVDs Early Media Instruments - which document the operation of artists designed instruments, including the Paik/Abe Video Synthesizer, Paik Raster Manipulation Unit, Rutt/Etra, Sandin Image Processor, Jones Colorizer, Frame Buffer, Keyer and Sequencer. 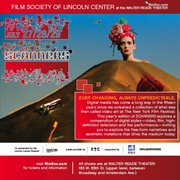 We are completing work on a multi-set DVD anthology ETC Works - from the ETC residency Program since 1970, a project supported by the Digitization Project of the New York State Council on the Arts and mediaThe foundation in 2006. Migrating Media: Upstate Preservation Network is a new partnership project to preserve independent video collections, migrating tapes to multiple digital formats for preservation and access. The project will serve as a model for new ways to prepare older media for a digital future ensuring a vital contemporary presence for the moving image art of the late 20th century. The project was conceived at the conclusion of the New York Video History Symposium at the international 2007 Association of Moving Image Archivists annual conference when Jim Lindner, the CEO of Media Matters, offered to donate a SAMMA Solo system to aid in preserving upstate New York's video heritage. 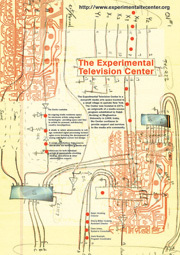 Three upstate organizations are partners in administering the project: Buffalo Media Resources, (Dorothea Braemer), Hallwalls (Carolyn Tennant), and the Experimental Television Center (Sherry Miller Hocking). The Advisory Group presently includes Mona Jimenez (Moving Image Archive Program, NYU); Patrick Loughney (Library of Congress, formerly George Eastman House); Christine McDonald (Crandall Library, Glens Falls); Debora Ryan (the Everson Museum, Syracuse); Bill Seery (Mercer Media and the Standby Program); Debby Silverfine (Independent Media Arts Preservation, formerly NYSCA); Sarah Ziebell (The New York Public Library for the Performing Arts).